Professor of Law, Chair Professor (IPR) B.Sc. (1974), LL.B. (1977), LL.M. (International Law), (1979) all from Mysore University, M.A. (Political Science and Public Administration) (1984) Karnataka University, Ph.D. (Intellectual Proper ty Rights)(2000), Mysore University . He was a Lecturer (1979-1988), Reader (1988-1994), and Professor (1995-2002) all at Vidyavardhaka Law College, Mysore and its Principal (1992-2002). He was Visiting Faculty at the Department of Post-graduate Studies & Research in Law, Mysore University, and Karnataka Police Academy (1990-2002). He Joined the NLSIU as Professor (2002). Presently he holds the Intellectual Property Rights Chair [IPR Chair] of the Ministry of Human Resources and Development at the NLSIU, is the Coordinator of the Centre of Intellectual Property Rights Research and Advocacy [CIPRA] at the NLSIU, and Head for the Institute of Excellence on Intellectual Property Rights and Standards. He is member of different Expert committees constituted by Indian Intellectual Property Office, National Biodiversity Authority, Protection of Plant Varieties and Farmers’ Rights Authority, Copyright Office and member of Institutional Ethics Committees. He was the Chairman of Post-Graduate Council, Special invitee of the Executive Council, and member of the General Council of the NLSIU. His areas of specialization include Intellectual Property Rights Law, International Law, Criminal Law and Law of Evidence, Conception of Justice and Global Legal order. He visited University of Sussex, UK (September-October 2004) under the DFID Project, the WTO and WIPO in Geneva, Switzerland (June-July 2005) and participated in the Colloquium on IPR. He also visited US (June-July 2006) at the invitation of the US Department of Justice for studying the IPR enforcement models in US, participated in the Indo-German Colloquium on IP at Freiberg, Germany (May 2008) and at the Conference of Parties (CoP) of CBD at Bonn, Germany, participated in the IPR workshop organised by Ministry of Economy, Trade and Industry (METI), at Tokyo, Kyoto and Osaka (6th to 11th September, 2009), participated as part of Indian delegation in the Meeting of the ‘STANDING COMMITTEE ON COPYRIGHT AND RELATED RIGHTS’ at Geneva (2010), participated in the International Workshop on ‘STANDARDS, INTELLECTUAL PROPERTY AND COMPETITION LAW” in Phoenix, Arizona State, USA. 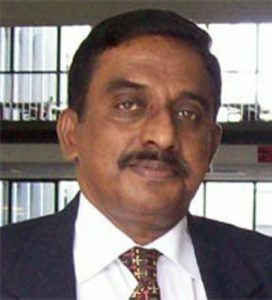 Selected as visiting Professor of Indian Studies (Law) under the ICCR Chair, Government of India, in the University of Colombo and worked as Chair Professor between January and April, 2012. In May 2012 he participated in the regional consultation and planning workshop on “Use of TRIPS Flexibilities to have Access to Affordable Medicines in Asia”, organised by UNDP, WHO and UNAIDS at Bangkok, Thailand. Participated and presented papers in the “High Technology Protection summit” organised by CASRIP, University of Washington, Seattle, USA (July 2011, July 2012), Submitted and presented a commissioned paper on “IP and ICT standards in India” at a conference organised by NATIONAL ACADEMY OF SCIENCES, USA in Washington DC (October 2012).